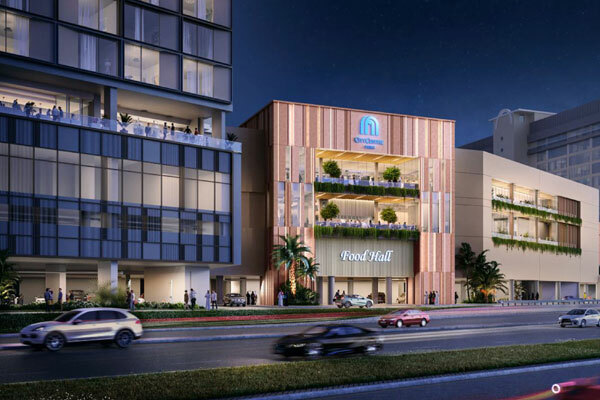 Majid Al Futtaim, a leading shopping mall, communities, retail and leisure pioneer across the Middle East, Africa and Asia, said it has embarked on a Dh377 million ($103 million) redevelopment project at its first flagship mixed-use shopping destination, City Centre Deira in Dubai. The move is in line with Majid Al Futtaim's plan to elevate the customer experience with a trendy and vibrant multi-concept food hall and new brands to suit their evolving needs and preferences. To complement its recent expansion of entertainment and leisure options, including a larger VOX Cinemas and the opening of the Aloft Hotel last year, City Centre Deira is pioneering innovative ways to engage visitors by becoming a “third place” that not only offers a social space to interact but makes them feel at home, it stated. Once the redevelopment project gets completed in the first half of 2020, the mall will add 25 new homeware and fashion brands and 20 new F&B (food and beverages) concepts that will take foodies on a unique culinary journey through its vibrantly designed food hall with homegrown restaurants, live cooking stations and deli counters, said the statement from Majid Al Futtaim. "The mall will also enhance the shopping experience and improve access for customers by optimising retail space, relocating some key brands for easier access, and improve mobility and the customer journey by introducing escalators to the second floor and enhancing traffic flow to the key courts of the mall," he added. Fuad Mansoor Sharaf, the managing director for Majid Al Futtaim Properties, Shopping Malls (UAE, Bahrain & Oman), said: "City Centre Deira’s transformation project is a result of our customers’ changing habits and preferences. We want to develop a communal space that extends a feel-good factor with tailored, convenient and multisensory experiences." "As part of this change, we are very excited to be introducing the food hall concept, the first such dynamic Food Hub in the Majid Al Futtaim portfolio," noted Sharaf. "We expect this space to become the focal point of social activities for families and millennials looking for an experiential dining experience that is delicious, authentic and handcrafted. Based on customer feedback, City Centre Deira is also enhancing access within the mall and reassessing its retail-mix to add the most relevant international brands for its regular shoppers," he added. According to him, the City Centre Deira’s food hall is set to stimulate the palate and gratify the senses of the Instagram generation of diners. "The bright food hall will be designed with bold textures and pop of colours through artworks and murals. Communal tables and counter tops dining will encourage socialising and engagement, while the open space will allow children and youngsters to play freely," explained Sharaf. "Diners will be able to enjoy an array of food from independent and homegrown restaurants and cafes, along with popular fast casual chains. Visitors can expect an immersive experience, which will change every season to maintain that element of surprise every time they visit," he noted.